"Matthias Schoenaerts has always been a bit of a conundrum: a brilliant actor in the body of a supermodel bruiser. Maybe that’s why, even though he’s from Belgium, he has long been drawn to a certain kind of rough-and-tumble American art thriller — like “The Drop,” or the criminally overlooked “Blood Ties” (where he was mesmerizing as an outer-borough lowlife), or last year’s “Red Sparrow,” in which he played a Russian intelligence officer with a lurid gleam that made him seem like the cutthroat son of Vladimir Putin. “The Mustang,” set in a remote prison compound nestled in the Nevada desert, is by comparison a much more lyrical and restrained movie. It’s about the bond between a hardened prisoner and a wild horse, and it’s been made, by the first-time director Laure de Clermont-Tonnerre, in a style of great-plains minimalism that feels, at times, like it’s trying to be a cousin to “The Rider.” “The Mustang” isn’t as good, but it’s a touching and original piece of bare-bones sentimental humanism, and Schoenaerts is terrific in it. 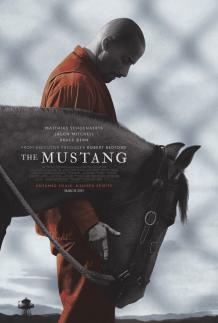 He plays a man named Roman Coleman, with a shaved head and a biker goatee and a stoic glare, who’s behind bars for reasons that “The Mustang” holds back on revealing. For a while, we figure that he’s a stone-cold sociopath. But it’s part of the film’s tricky balancing act that Schoenaerts comes on like some spiritually lobotomized death-row version of Dwayne Johnson and still cues us, at every turn, to look for the soul within. Roman, seated opposite a smug anger-management therapist (Connie Britton), is about to re-enter the general prison population of the Northern Nevada Correction Center after having spent a lengthy stretch in solitary. He has no interest in joining the incarcerated horde (“I’m not good with people,” he says, in what seems to be the movie’s biggest understatement), and he shows no signs of connecting after he gets assigned to shovel out the prison’s makeshift stockade. But then Myles (Bruce Dern), the gnarly old coot in charge of the program, orders Roman to go in and break one of the horses. Roman has no luck at it, and that’s because this is a standoff between not one but two imperious beasts. At one point, he actually slugs the horse. But it’s only after a fit of screaming and arm-waving, with Roman doing anything and everything he can to establish a boundary, that de Clermont-Tonnerre comes up with an exquisite shot that’s as startling as it is moving: a dramatic low angle, with Roman sitting there, defeated, next to a slice of empty sky, the space suddenly filled by the horse’s head, which swoops down for a nuzzle. And Roman, ever so mildly, nuzzles back. 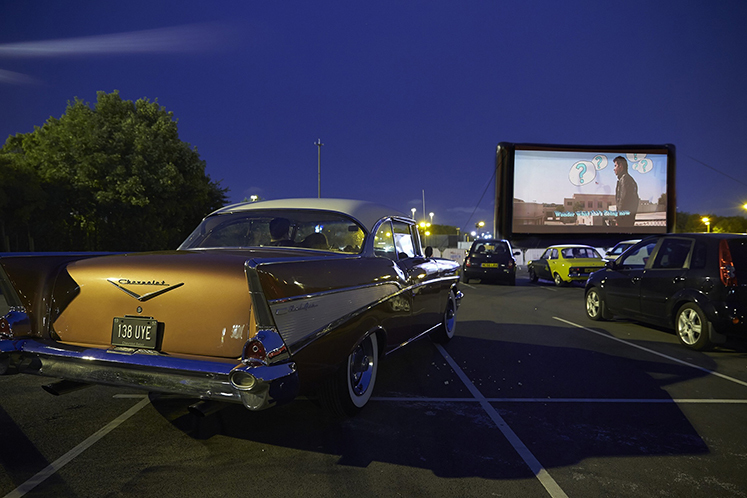 From that moment the film has us in the saddle. “The Mustang” isn’t a wordless movie, yet there’s so little in the way of substantial dialogue that the entire script feels like it might be 12 pages long. At times, that’s frustrating; “The Rider,” for all its luminous poetic Western stillness, had plenty of meaty exchanges. Yet there’s a design to the movie’s quietude. “The Mustang” wants to immerse us in the silence of that rarefied space where man and animal connect. The movie is less about a convict who becomes a horse whisperer than about a horse who becomes a convict whisperer.